Celebrity scandals are a solid part of the entertainment industry. Fame, cheating, lies and confessions have always gone hand in hand in the world of celebrities. And in keeping with the tradition, Comedian Kevin Hart has apologized to his wife Eniko Parrish for cheating on her. Intitialy he had lied about it. But when his secret lover decided to use a video of them in the act, in order to extort money from him, he decided to fess up to his pregnant wife—before the whole lie blows up in his face. Back In July, the Jumanji star was hounded with persistent and realistic cheating allegations, which he vehemently denied and even laughed at. This was even after cosy photos and video surfaced of him with other women outside of a Beach hotel in Miami. Hart of course denied it at the time. The funny man reassured his fans and his beautiful pregnant wife that the claims were fake. He was never unfaithful. In an act that now makes him look really ridiculous, he even went as far as posting a handful of Instagram Stories were he laughed off the cheating claims in truly Kevin Hart fashion. But now an attempted extortion by his lover has forced the actor to own up finally. When the undeniable video of Hart surfaced with a woman he was cheating with, he could no longer play the perfect husband. He confessed and apologized to his family. While the comedian doesn't say exactly why he is apologizing in the new Instagram post, he does admit to hurting "the people closest to me." "I'm at a place in my life where I feel I have a target on my back and because of that I should make smart decisions, and recently I didn’t," Hart says in the video. "I'm not perfect and I'm not gonna sit up here and say that I am, or claim to be in any way shape or form. And I made a bad error in judgement and I put myself in an environment where only bad things can happen and they did. And in doing that, I know I'm gonna hurt the people closest to me, who I've talked to and apologized to, being my wife and my kids." Kevin who has been married twice, also revealed that he would rather come clean and go for honesty, rather than enrich someone else by his mistakes. "At the end of the day, I just simply got to do better. But I'm also not gonna allow a person to have financial gain off my mistakes. In this particular situation, that's what was attempted. I said I'd rather fess up to my mistakes." And so he did. Wrong place, wrong time, bad decisions and a complicated situation. Fans feel really sorry for his wife. 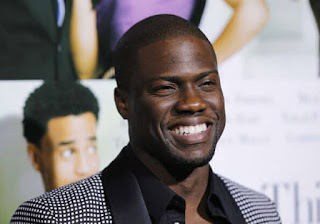 But I bet this Kevin Hart cheating scandal will somehow be integrated into his popular comedy routines sometime in the near future.